Since 1946 these letters have been kept in a little grey soft-topped case which my mother bought just before the war for half a crown and so many, 'tea checks', from Hunters Tea Stores and which accompanied me on all my A.T.S. wanderings through three and a half years, but that's another story. The letters were so interesting it seemed a shame to destroy them and now after fifty years I am sure Reg wouldn't mind them being published for everyone who has read them has been fascinated by every aspect of their content. William Reginald Ward was born in 1916 to William Henry and Emma Ward of Rock Cottage, Carsington whilst his father was serving in France during the First World War. His brother Leslie, born in 1920 and Eric born in 1925, both served in the R.A.F. Reg won a County Minor Scholarship to the Wirksworth Grammar School in 1926, leaving in 1932 to be employed by Geo. Marsden & Son, Auctioneers & Estate Agents at 21 Market Place, Wirksworth. He thoroughly enjoyed the work, as his letters show, but after applying in vain for a rise in wages, he went to work for the Refuge Insurance Company in Matlock from August 1939 until he was called up. Reg was called up to report to Lincoln Barracks on Friday 15th March 1940. On 8th March his mother died at the age of 49 and the funeral took place on the 11th. He duly joined the Lincolnshire Regiment on the 15th and trained with them at the Barracks and Stores Park. I was offered a job at Marsdens and had arranged to leave my job in Derby on 7th June and have a holiday with friends in Lincoln. This coincided with Dunkirk and, unfortunately, because of the state of emergency, all troops were confined to barracks. I went to Lincoln as planned and saw Reg on Monday 10th June. I returned home on the 11th and started work at Marsdens the following day. 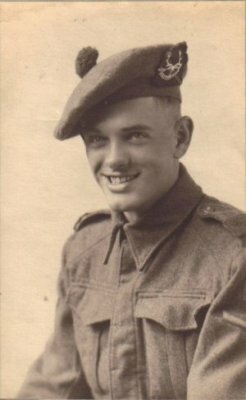 Reg left Lincoln on the 11th and was posted to make up numbers in the Seaforth Highlanders after their enormous losses at Dunkirk. 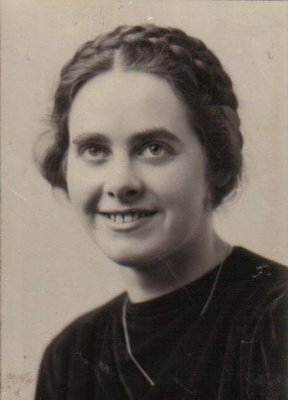 His last leave was from 18th to 25th February 1942 and I obtained a day off work to go with him to see his aunt in Eyam. We intended to only go for the day but were persuaded to stay overnight and we had a lovely time. We went for a walk through the village in the afternoon; it was a beautiful day, snow underfoot, blue sky overhead and everyone we met had a word with Aunt Jinnie. We came back early on Tuesday morning. Reg left Carsington on the Wednesday and never returned. He was killed at the crossing of the Garigliano river in Italy on 18th January 1944. His father received the news on 12th February and wrote to me at Kedleston Hall where I was stationed. By a strange coincidence, I was able to come home on that Sunday and met Mr Redfearn who was bringing the letter to Kedleston for me. If I had stayed in camp I would never have received the letter. It was incorrectly addressed and would have been handed in to the men's quarters. As it was I was able to attend the memorial service at church in Carsington on the Sunday evening before going back to do night duty. One or two other letters have been included. The letters regarding my deferment give an indication of attitudes at the time. The letter to Ron Brown recalls the reports of most appalling atrocities committed against some prisoners of war. Early in January I decided to produce these letters, mostly in faded pencil and many marked with the censor's blue pen, in a more readable form. My daughter, Lesley, assisted me in this task. Having done this I feel he has, as Patience Strong wrote, returned to the land of his birth. window as I write I can see the cathedral. It looks a wonderful place. is possible for letters to get crossed. winner in front and,by gad, they can move. times we have gone, the cathedral has been locked up. what to expect before he yells out. Well I've no news that I can think of so I may as well dry up. afraid I am mentally incapable of such a job. yours, any one you have by you, in exchange. and has since been used as a joiner's shop for making sectional buildings. it was not unusual to find two or three inches of snow on your bed. groused enough now so I will try and come onto a lighter subject. will soon pass and I shall see you and Carson again. German aliens have been rounded up. We had some brought to barracks. They looked a harmless enough crowd. Ink and news have both run out so I will await your next letter. Don't let it be too long and don't forget the photo. this morning and 3 a.m. yesterday and I am tired out. halfway, so here's hoping for the best. used to it and to AJ's manner. out until Wednesday. Still, I am the same as scores of others, I know. see you, but there is just a chance that pass roll may be started again. know as soon as you can. may be a long time getting another holiday. lots of other soldiers & their families etc. Felt a bit like cattle! for an hour or so we may be perfectly happy. It's nearly time for lights out, so goodnight, will complete tomorrow. am here doing nothing for an hour or two, but shall have plenty on soon. they have not got any. Am on outlying picket Wednesday night so no chance of getting Wednesday. leading to Stores Park. Double summer time, bright sunshine at 9.30 - 10pm. park, and a grand spot, but the work spoils it and the grub is a marvel. for an odd hour now and then - about 4 altogether. address as Mr Gandy sends me the Derbyshire Times each week. when we were there and they must be a wonderful sight when they are out. would not have got written. cold. Darkness only lasts an hour though. think we get issued with them. in this mad world of Carson, will you. all make a living though. 2�ft long he has caught. He is off to the cookhouse with it now. expect to go there on an Anti Aircraft post tomorrow. heather. It looks grand now. The bell heather is in full flower. It's no use trying to describe the scenery; it just isn't possible. it. It seems to be in huge sweeps of hills. does start, there are no half measures about it. It comes down in sheets. doubtful I shall go now) but I hear it is a very nice place. with you, I should enjoy it more than I do now. callers. Still, I reckon it's all in a day's work. fairly often in that little office of yours now. You certainly surprise me with your news of Olive joining the WAAFS. She is about the last person I should have expected to do so. got lost. We did not have to strike a light, you see. they must have come from Mr Gandy and so I wrote and thanked him for them. dodge some Red Caps as we were out of bounds. now than a few days ago. yet to receive a real reply. Let me know when you write again. present. It will be Heaven when we meet again. and you would not think it had ever rained. the kind I mean, those with the big curly horns. from home to start with though. we hold each other again. wanting to get home to you. How are Mr & Mrs Ellis? I am glad Dad met them. They are grand folk. an employee and her leaving will make a big difference all round. view, even if it was not as good as it might have been, as you suggest. be covered with it, but here it's very rare. Dunblane or Stirling. I hope you will not mind dearest. and everything seems so beautiful and peaceful. be together, so again many happy returns. it isn't much but I hope you will like it. old one is getting worn out with looking at. furniture sales! I can still smell them. looking. I may be lucky sometime. envelope is exactly the same as the previous one. until I can put my arms round you instead. tent we always share up and it was voted the best cake ever by everyone. have not been pulled out of the office with work this last week or so. deal with him is to tell him off occasionally. all the corn is cut and what remains is ripe. receiving, amongst other things, Income Tax papers. It's funny to think of old Chris with a rifle, never mind watch him. a faulty rifle doing out? They certainly keep 'em at Wirksworth. his stamps as well. I don't suppose you do. the old ones are always white washed and the roofs covered with pantiles. you it would be ten times better. great fancy to Eric and Maggie Smith. Jerry or as we call him "Alleman". you is that you shall be happy. can help being amused when he is around. I seem to be writing more than usual, have you got as far as this? old reverend and bewhiskered friend going on? long time since I heard from him, I expect I shall have a letter soon. I see it's very ambiguous but I know you will read it as I meant it i.e. wallas than with the planes. all once and if you can get interested in them, they are quite good. Their chief trouble is that they are so long winded in the descriptions. can't think how a learner will be. person on air raids in the village. be drawn from the hat so it may be soon or it may be a fairly long time. are Macs and they are all differently named, good chaps too. very keen on it and it must be no joke on Carson hill at night. anyone yet - the miserable swine. good time to catch up with a few letters. the time between will soon slip by. to gold. It's funny how these little things stick in your mind. an hour and a day or so later goes down again just as quickly. The Home Guards seem very busy these days and they must be very keen. a woman, especially one like Olive. Dad tells me that you have taken a snap of mother's grave and stone. the better-  at any rate the likeness was anything but a good one. look for any next year. That's about all, so Goodnight my love. of course they always fetch more at this time of year. finding it a big change, I bet. know them and it's interesting to keep a check on them. stepping stones and so cuts off our short cut into Doune. near although so far away. won't do any good and it does not do to think too much. The battalion sports are on Saturday and I am in for the high jump. that would recoil on me) until leave starts again. I did. You did not expect me to just slip them into my pocket, did you. give all the tent (7) a feed. be said is that I long for you more and more, every day and every hour. awful but we don't grumble about that as long as we keep fairly dry. have a fine time at them. am told. It's certainly deep enough but of course I have not seen any. is a reddish brown colour owing to the sand and dirt it is bringing down. me home. Home for seven whole days, dearest, seven days. stock was good, I'm certain of it. a great argument about whose turn it is to clear up in the morning i. e.
complete it when I get your letter. thinking all the time of you. fast and as you can guess everything is muddy and we can never feel clean. used to the quietness of Carson now and perhaps a little fed up with it. any) he would get in bed but he wasn't letting it bother him at all. is capable of making hideous noises. a marquee and the river's down. We should be OK for a while. a sale of stock will be the next thing there. From your letter it appears that the London folk are still with you. Seaforth crest on it and I do hope you will like it. a very good picture in colour and well worth seeing. results. What do you expect? Bands and flags and full pomp and ceremony. brass or pipe you would not forget it easily. Carson and you in my arms. new address before I post. I saw you. How did you know the motto and crest? but they are very shy. look almost respectable for a change. superior to the Army but why has your pop got a down on soldiers. damage resulted so that doesn't matter. fed up with the journey, I expect because of all the change of scenery. It's very cold today but I am getting steadily nearer you and home. Will wait and see where we get to before I write any more. a bad place for amusements even if it is a rather depressed area. before this; the above is the correct address. letter but to wait until I can tell you any news that I may have. we get all the warnings. Nothing gets dropped here anyway. to start one and before five minutes were up I was cruising around on it. was great as we came through the towns. city, we went with him. will be something to remember. Well, it's about time I was off, so for the present, goodbye. measly little note it was, but time was short darling and so it had to be. just keep writing "I love you" time after time to fill the pages, can I? a night could be. Still, I suppose it was a suitable night for the job. When I got in, I found that one of my "stable mates" had gone on leave. have got the same complaint now. usual notice about leaving if so desiring was put on, not a person moved. In fact, they all laughed. Well darling the dinner pipes are playing, so I guess I'll dry up. Cheerio my love,  Your Reg. I expect you will be wondering why I have not written before this. until I do get one. few - they seem to be concentrating more on the south now. three times their objective, not bad! before Xmas, at any rate, I hope. can guess it is not too warm. suppose I had better get ready for it and finish this later. able to produce a full kit. it. It's acquired from the cookhouse and tastes all the better for it. they carry on with them. rather remote chance. Still, I may be lucky yet, who knows? letter that he will soon be OK again. could have that week over again darling. Someday we will though. Wigan in time to catch the 10.20 bus to Ashton. flashes. I saw no damage though. a big day though, I believe. Well, sweetheart, there's no more news so cheerio for the present. don't quite know how to say Happy Christmas to you. It seems too common. are only four including myself. same fellow who had us at Xmas. will let you know about that in my next letter. the Tarzan trick on the garlands (the bruise has almost gone now). will reread your letter and see what to say next. him smile then. Keep it up - it's not often he gives anything away. It's a free Sunday and an hour to go before dinner so here goes. are fine and getting used very often. warmest place he knows of - bed! again in about six week's time. I can't believe it yet myself. to the good and you seem to have had a good time which is the main thing. wants you to talk or write in an intellectual manner! I don't. cleaning boots and the usual round so I may as well close down. it's first week of life. in it. You ought to see it. size and very warm and comfortable. couple of weeks nearer, just about a month now dearest. Gandy seems to know him so why worry? Well, sweetheart until I next write, cheerio and remember I love you. waited in order to let you have the new address. got wellingtons so that does not worry us too much. by candlelight with a stub of pencil about 1�" long. and the roads were blocked altogether for a few days. existence soon. I expect brother Fred will carry on now. Aunt Dora so we can only suppose that she was too scared to give tongue. that you have made them a bit short on the fingers. did you get the idea of going abroad? found only on Xmas cards. should not grumble as it's the first time I have ever done it. light fall we had the other night. fortnight at least before I am home again. day for about three weeks. quick work on their part though. own bed since I got back. truck did not leave for the camp until after midnight. very fed up but having so much to do has eased it up a bit. thing left is to say, I love you, write soon. bad, it's not receiving them that would be worse. The last week we went on a two day manoeuvre. What a stunt it was! so we walked about all night trying to keep warm, but could not do it. I think. Do you know him? one. Stick out for it sweetheart and you will get it alright. expect you to knit a pair. sweetheart. His name is W Macdonald but the name he answers to is MINK. across the Wirksworth Market Place. sweetheart. Perhaps it won't be so long before I can say it to you. and assure me that this is nothing in comparison to Birkenhead. but the Mink is doing 10 days CB at the moment. places and people which I would never have done otherwise. unusually quick reply to your letter. are so quick after the siren that I am sure they never undress at night. you see we are not in the blitzed area all the time. Fishpond is a very clean spot at present. Well, sweetheart, more later, it's my turn to sleep. short alerts of course, but no raids so we were fine. but on no account to get it from someone in the same hut. so you can guess we were about all in by the time we finished. district today on three week's agricultural leave. but it does not describe him. morning so I suppose we cannot grumble. PS  Just found the letter I wrote you and thought I'd lost so enclose it. anyone reading my letters or yours. will have to suffice a little longer. darling. Being miserable never helped anyone. able to come back to you. PS Did I remember to tell you I LOVE YOU! and I suppose they are rather poor. case so don't think everyone was sick in the true fiction manner. good roads, they are mostly old cart tracks which wander on. you can always see a few near the rushes on any of the lakes. Well, I think that just about completes the scenery. I got your letter addressed to Marbury after I wrote to you. other than you reading it. doesn't he, although he is very close fisted. should think that you will prefer them to Nellie Doxey's. he used to go to every picture that was put on. formed a good opinion of him anyway which is a good recommendation. quite respectable yet. The socks are very warm and comfortable too. news. I understand that the war is not over yet though. you, so now, sweetheart, Goodnight. All my love. bit longer letter this time. those I have remembered will read rather like a catalogue. donkey carts. The clothes of the folk are as dilapidated as the houses. about a week ago but I have not seen that yet. able to catch even a cold yet. across to an island by bridge and then across to yet another by ferry. Quite an interesting journey considering it's not a mile to the place. of the houses so things are looking very pretty. rather clever and very comical. been there each time I have been on leave you know. On guard again, sweetheart so will continue now everything's quiet. quickly although we very rarely know what day it is. brought me a pound's worth from the village without any trouble. that includes the shops in the towns as well. able to match it for length but we will see how we go on. been round there very much? now that I have got your letters. some idea of it but you cannot see the comical side of it from reading. be scared by the official look of the envelope. G M & S wrapper on it. Is it from you or from HG? pitied at all. I think they are lucky. be there. We never progressed very far with the dancing lessons. Suggestions for a costume, let me think a minute - Lady Godiva? it was like seeing the picture over again but it was worth seeing twice. mother. If she is anything like her granddaughter good enough. workers who gets well paid for making a nuisance of himself. opening their mouths, no sound came. rather, I envy Stan being able to walk around with you. have a serviceable rod, all for 7d. Not bad is it? hope a couple of months at the outside limit. You seem to be rather crazy over primroses. You should see them here. two before I post them. either very tired or have a very clear conscience. how many there used to be of course. Do they ebb and flow still? population here have ever been to a cinema. they only get used on guards at night and so on. then. It's not definite of course, but I think it's a good bet. so if you have a grumble about it you will be able to tell me. from yours. Still it may be better very soon. devil, it will be a long time, if ever, before I see him again. be surprised if it is short. that time so he just turned back. as I'm tired, I will go to bed. a long way away at present. remember it as well as I do, so how can I write of that. one. I have not heard from Dad yet but I expect I shall do so soon. over that in my last letter so we will let it lie. in for one. I am not thinking of doing so. both claim a win which seems to be what usually happens. was nothing else for it. I admit I sweat when I got there. although he has got plenty of brains I don't consider he is brilliant. the way, seems to be full of local news for a change. I'm very sorry about the snaps; the one of Dad was quite good though. enough here; I wish we could swap a day or two's weather. rough country when I was home, but managed not to break anything. wait until I get your next letter before I write again. time this war was over but like yourself' I can't see it coming off. such as he has is sufficient justification. in time the whole of the grounds will follow suit. let me know the size. wrist ached for when I got it I wondered if it was the MSS of a novel. before and we have baptized them "Hurricanes" on account of their size. on and a couple of points to call at with a rendezvous for next morning. the teapot or whatever it is on the fragments. certainly like your description of it as a devils' chorus. for that lad is no one's mug. know what part it will be posted in yet. behind yours in length and style but it's all I can manage at the moment. must have a look at this new Joanna. You make me rather ashamed of myself in the first line of your letter. I write four sometimes and feel quite pleased with myself as a result. arrived in perfect condition and not in the usual broken up state. drop of sunshine to us. hardly the place for anything like that to happen. understand the huge mounds of it which lie everywhere. there are no end of fights, brawls and rows as a rule this week. PS When you see Dad will you please ask him if he got the tobacco alright. three of us enjoyed it immensely, it was great. fixed day but the time taken in transit varies. at the time and it seems that you have split them up very fairly. fairly good piece of irony, that. I believe it was Thursday. I know the DT arrives on Fridays as a rule. back with 1/5 between us. it's only trouble and expense for you to keep sending it. before or on your birthday unless I do. place to go to but of course that's closed now so it's cut out. Don't forget that photo you are to send me, the one in shorts! we should never have got to the dance, as has happened before. paragraph on the weather this time. you for as well, rather a big order that. will show it to Dad. stockings yet? You ought to have done so by now. holidays will give it a decent start anyway. were peat bogs and masses of honeysuckle in the hedgerows. lot will be the one I have still to get. any dictatorship from the never-never boss. PS  Thanks also for the book. pen, but the one you sent is a beauty - nuff said. rather lonely for a while. it immensely although I admit an idle lazy week is my ideal at the moment. choose either a hilltop or hillside and rarely a valley. special one! My Joanna, I wonder if I shall ever know you. stockings. They were sent a fortnight ago. on leave or possibly before. but maybe I will decide better when I see you in them. at the end of the three months, I don't know when it will be. before I did and yet they are still roaming around. hope but it's bound to be a big change for him at the start. before I get home; it really is beautiful scenery. have to look forward to, so cheerio for the present. pockets it helps to sort the grain from the chaff. the so called musicians we used to be visited by. had no lack of supporters if you had been lucky. lockup is not "in jug" but "in the mush". or 4th time Mrs Land has left the Lion. AJ has done well out of her. of the local peasants" and somehow it stuck in my mind.